Disruptive Technology: New model, better service, a fraction of the cost; wildly compelling! Home/Cloud Computing, Disruptive Technology, Uncategorized/Disruptive Technology: New model, better service, a fraction of the cost; wildly compelling! It’s been over 4 years since we ran our last article on disruptive technology. At that time it was about a new architecture for Servers and Storage oriented technology. The new architecture called ‘virtualization’, utilized existing mature components and enabled businesses to provide better service at a small fraction of the cost. Virtualization allowed for any number of servers to be consolidated into a single more energy, space and cooling efficient server. Picture a data center with 19 computer cabinet racks of equipment – along with the infrastructure they require, operational costs, cooling and manpower now replaced with a single cabinet. In this model the virtualized architecture pays for itself in less than one year because of the reduction of power and cooling alone. Now add to that the reduced costs of software, maintenance and manpower and the cost cutting can reach upwards of 90%. The initial barrier to implementing these technologies was the reduction in manpower. The business outcome, saving money, is a CEO/CFO function. But the “C” level officers of a company aren’t technology savvy about the “how to”, so they rely on their data center managers. The data center managers look at the reduction of manpower and think that their jobs are going away; there is resistance. Humans always resist change. You don’t need to buy 19 servers and power, cool, license, maintain, update, upgrade, backup and replace them every 3-5 years; you can now get the same performance out of one server for a fraction of the cost. The manufacturer of this disruptive technology, VMware, has gone from a tiny curiosity of a company to an industry leader in 5 years. There’s no stopping it. That was 5 years ago, ready for the next wave? The new disruptive architecture is here, now. Information technologies can now be purchased entirely as a service. Pay one price and get the latest software operating on your desktop/laptop/mobile device each and every time. No expired warrantees or no refresh cycle; software is machine independent. 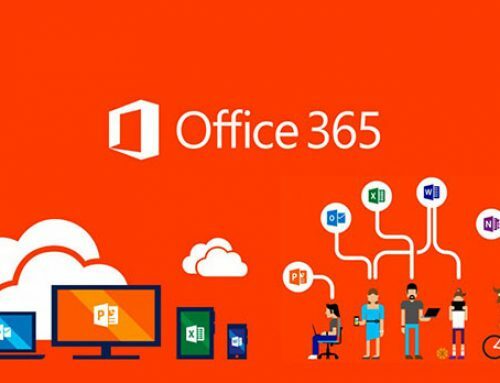 You can purchase the MS-office 365 service and it will always be the latest patched version of the software, all for a determined and metered single price per month. This remote delivery of services, which some people call ‘cloud computing’, is here now. 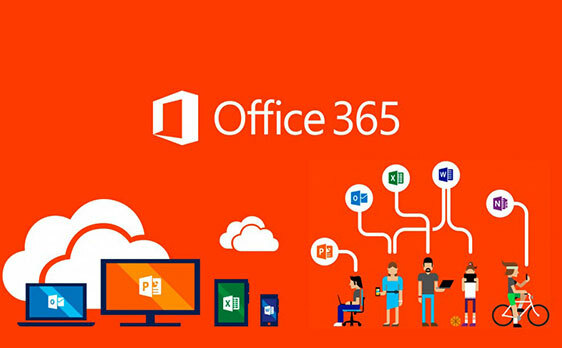 You need outlook for your email? Simply check off a box on a webpage and it works at your home, at the office or on your mobile. Firewall security used to require an appliance and an IT department. Now all you need to do is check off a different box on a webpage and you’ll be protected in the office, at a hotel or on the road. So here we are at the next crossroads of disruptive technology. It has gone from mainframes, to mini-computers, to PC’s, to the internet and now to smartphones. It’s been a remarkable journey, each step with its own proponents, detractors and many imposters along the way. The change has been fast but disruptive technology cannot be stopped and will always be integrated into our lives. Each new change impacts our lives in such a way that we can’t imagine living without them just a few short months after their introduction. 62% of the fortune 500 companies that were in business 10 years ago, no longer exist. If we are slow to change we’ll find that our inability to escape the past will become our inability to create the future. How can you compete in business If you pay 10x more for your IT architecture than your competitors who use better, faster more agile IT for a fraction of the cost? Check back next week for our conclusion on disruptive technology.